The organizers of the London 2012 Olympics were thrilled when Dow Chemical wanted to sponsor the artistic wrap that will drape the outside of Olympic Stadium. The wrap cost about $11.4 million, a price that made it too expensive to build until Dow came along. Howeber, what caused joy in London sparked outrage 6,000 miles away, in India, where the name Dow Chemical conjures memories of one of the worst industrial accidents of all time. The company is b;amed for the 1984 Bhopal disaster. Around 3,000 people died immediately after a a gas leak at pesticide plant in the area exposed hundreds of thousands of people to methyl isocyanate gas and other chemicals. Another half a million people were injured. The plant in Bhopal, Madhya Pradesh was owned by Union Carbide Corporation (UCC), a Dow subsidiary. UCC has displaced all blame, claiming that the leak must have been the result of sabotage because the plant had passed all safety checks. The company also claimed to have done all it could to help alleviate suffering after the disaster. But the topic is justifiably sensitive in parts of India, where some people still suffer from the aftermath of the accident. In the first 20 years following the leak, between 8,000 and 15,000 people died from gas-related diseases and so far no one has been held accountable. The awarding of this contract to Dow is an insult to the victims of the Bhopal disaster, whose suffering continues till this day, said Seema Joshi of Amnesty International’s Head of Business and Human Rights. Since Sunday, which was the 27th anniversary of the tragedy, hundreds of protestors -- many of them victims -- took to the streets to demonstrate against Dow and the Olympic games. 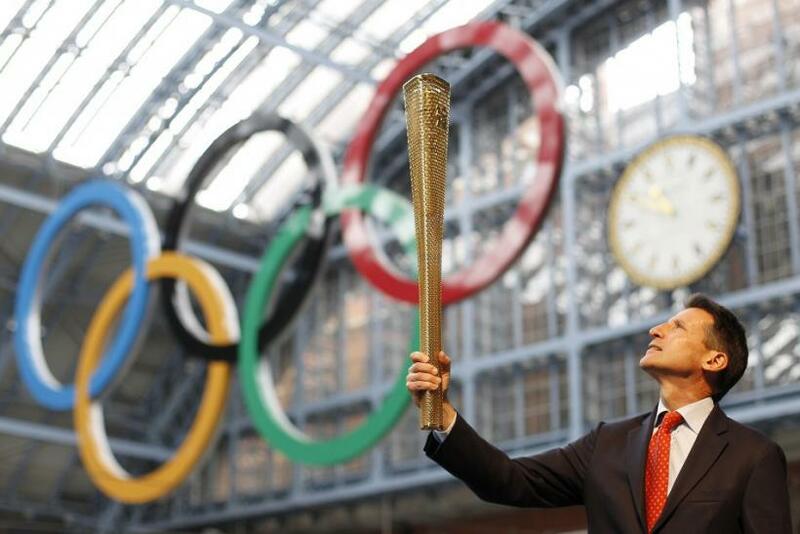 They burned effigies of Lord Sebastian Coe, chairman of The London Organising Committee of the Olympic, and carried signs reading Down with the London Olympics and We Want Justice, according to The Metro (UK). Additionally, a number of Indian athletes have signed a petition asking their country to boycott the games. We feel it would be against the basic principles of the Olympics charter to partner with Dow Chemical, which is responsible for the ongoing disaster in Bhopal, the petition, which has been dismissed by India's Olympic committee, reads. On Monday, the Indian Olympic Association did make the organizers aware of the feelings of the people who have suffered and that they were discussing the issue, but would not boycott the games, according to the BBC. Both Coe and Dow have downplayed the significance of the sponsorship. At the time of the incident, UCC was a separate legal entity and Dow still denies responsibility for the gas leak. “Dow has committed to leverage its science and technology expertise, sustainability focus and global network to support a range of events and activities that promote the role of chemistry in the advancement of human progress, environmental protection and economic development,” the company said in a statement. Dow is a perennial favorite of the International Olympic Committee, and the company pays about $100 million every four years, according to The Associated Press.